I told the designer to wait while we did some more research. She understood. In the end, we chose a different option that saved us money. Once I let go of bearing the burden of making the perfect decision and trusted my Father to lead me, I enjoyed the adventure. Faith is that practical. We believers know that we are saved “by grace through faith,” but sometimes we forget we were created to live by faith (Romans 1:17). We tend to rely on ourselves in our everyday decisions. But God wants us to include Him in every aspect of life. Jesus modeled how to live. He relied completely on His Father (John 14:10). Jesus wants us to walk that closely with Him (John 15:4-5). Living by faith saves us from a wasted life and wasted opportunities. It protects us from regret. It pleases God and satisfies us (Heb. 11:6; Jn. 15:11). Our heavenly Father longs to show up in the mundane tasks of life. When we lean on Him in every area, life becomes an awesome experience. Don’t copy the behavior and customs of this world, but let God transform you into a new person by changing the way you think. Then you will learn to know God’s will for you, which is good and pleasing and perfect” (Romans 12:2 NLT). Consequently, faith comes from hearing the message, and the message is heard through the word about Christ”(Romans 10:17 NIV). Jesus said His Father would send the Holy Spirit to live in us to be our helper in life (John 14:17). So I say, let the Holy Spirit guide your lives. Then you won’t be doing what your sinful nature craves” (Gal. 5:16 NLT). What wakes you up in the middle of the night and steals your rest? What would trusting Jesus look like for you in that area? How would it feel to know it all doesn’t depend on you? If Larry or I can help you experience the benefits of living by faith, please let us know. Comment: What helps you trust God with the everyday stresses in life? For practical help in building your faith I suggest Give Yourself a Break. Great encouragement here, Debbie. Thank you! Many times I need to remind myself of this truth about smaller things that I get caught up in taking charge of and fretting over. Faith is for little things as well as big things!! Pam, that should be a slogan. “Faith is for little things as well as for big!” Blessings to you! Melissa, the older I get the shorter life seems. And knowing God will answer one way or another brings me peace, too. Thank you for sharing what helps you trust God. All I can say at this moment is I needed this reminder today and the Lord knew it. Thank you Debbie. Ann, I’m so glad God’s encouragement to me could be passed on to you! Horace, I love the picture you drew with words. We can hide under the covers or bow under His wings. Bless you, my friend. 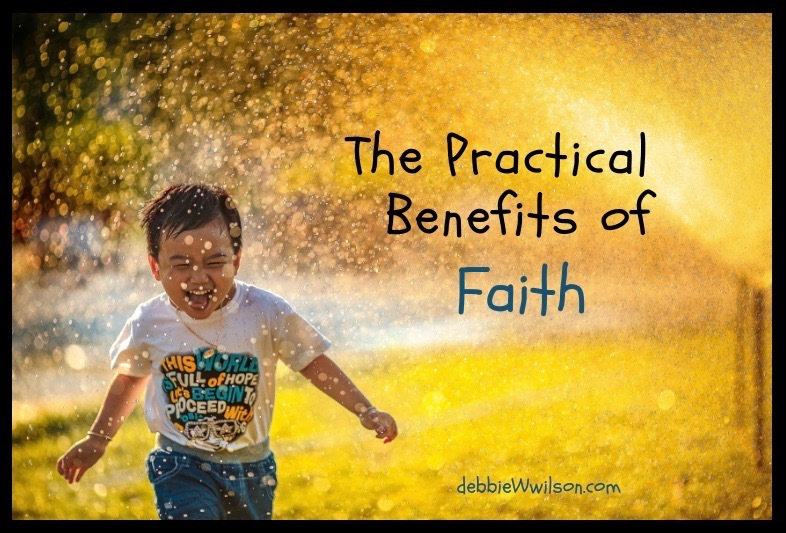 Great post and reminders, Debbie! I particularly love this line: “Our heavenly Father longs to show up in the mundane tasks of life. 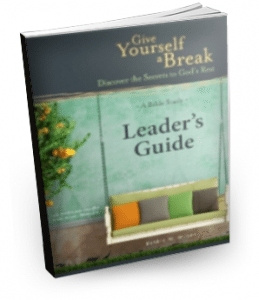 When we lean on Him in every area, life becomes an awesome experience.” As I commented on someone else’s page previously, I absolutely LOVE that God is in the details …. sometimes the mundane….. in my life! It gives me such comfort to know that, and, in a sense, it helps take the “burden” of responsibility off of me, because when I rely on Him to help me make decisions, even those very little ones, if I’m truly walking with Him, then I can be confident that I’m (at least attempting) to do and say the right things! Thanks for these great scripture reminders to back up the great points you made in this post! I agree, Julie. It changes everything when we share the small things with God as well as the big. 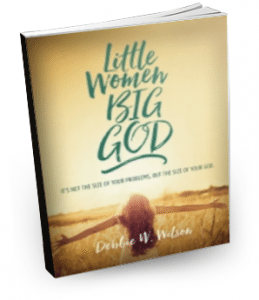 Debbie, Thanks for reminding us that God is in ALL aspects of our lives–both the big and small (and all in between). Sometimes we think our problems are too trivial for God to care, but we know He cares (“His eye is on the sparrow…”). Thank you for your inspiring message of faith.